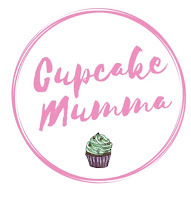 Cupcake Mumma: Can't Wait To Try Out My New Recipe Book! Can't Wait To Try Out My New Recipe Book! I'm pleased to say I have finally got back my baking bug! It scuttled off some while ago but since I started blogging and seeing all these fab meal plans, photos and how so many people are so adventurous with their cooking I finally feel like I want to cook and bake again. I find it very hard being on a restricted diet. Everyone has a nightmare remembering what you can and cannot eat, you have to always read the labels on your food which always makes uncomfortable in the store, not to mention it's harder to get the knack of cooking without certain ingredients. I can't wait to get stuck in to this book and look forward to sharing the results! Also today I managed some great finds in my local charity stores. I got a new fruit bowl, slightly smaller than my very 'out there' pink mixing bowl which will hold a nice big Christmas Truffle! Yummy. I picked up some baby vests as Little Man is growing fast and I hope to pick some more clothes up from a mum on my local Netmums site so another bargain there I would think. I got myself a light up door decoration for our Halloween party next week for 75p and a teddy for £1 which is in really good condition still with tags on so I plan to wrap this up for Little Man for Christmas- Never underestimate what people donate to charity, you can find some great items these days which are indeed perfect for an occasion of any kind. I have no care that people may find my 'odd' or 'stingy' they can go and buy the same or similar object for twice the amount if they so wish! I also used some of my long awaited Love 2 Shop vouchers today that I had been saving up for since the beginning of the year with Park catalogue. I didn't like parting with them much but at least I can cross a fair few people off my list and I looked out for offers and bargains whilst trying not to compromise too much on quality for the person in mind! Anyway, will upload my finds tomorrow, for now I look forward to planning my write up to Life Circle Part 3, Writing Workshop and also planning my post for The Gallery whilst struggling with The Scavenger Hunt!